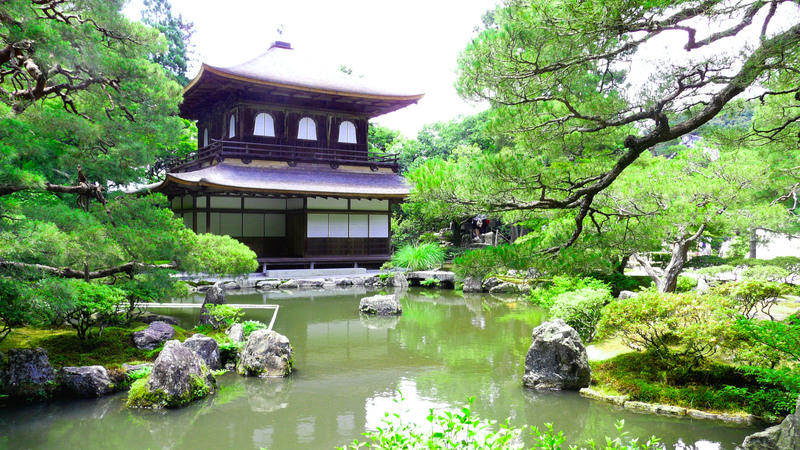 My first stop at Kyoto is the famous Ginkaku-Ji Temple, 銀閣寺, which literally means “Silver Pavilion Temple”. 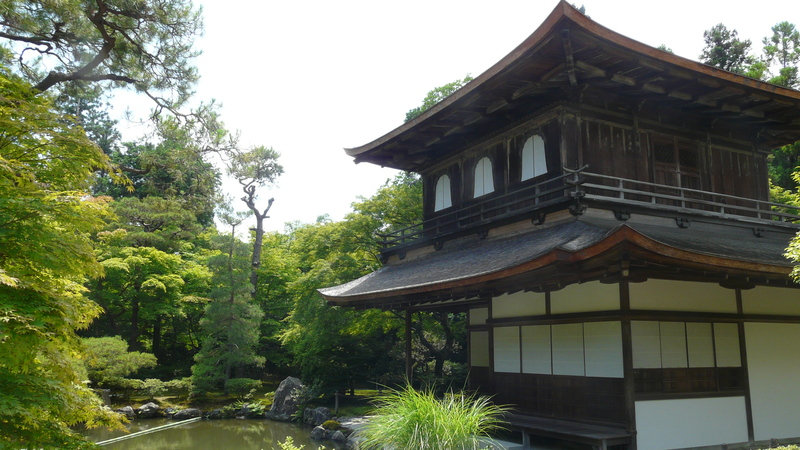 It is also more commonly known as Jishō-Ji (慈照寺), it was designated as UNESCO World Heritage in 1994. 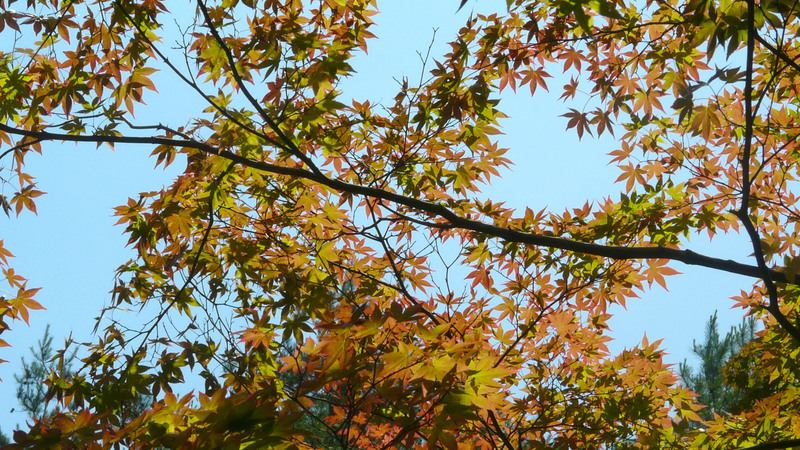 A little background of this temple: The temple is belonging to Shokokuji branch of Rinzai sect of Zen Buddhism. It represents the Higashiyama Culture (東山文化）: based largely on the ideas and aesthetic of Zen Buddhism and the concept of wabi-sabi （侘寂）- Beauty in simplicity and incompleteness. 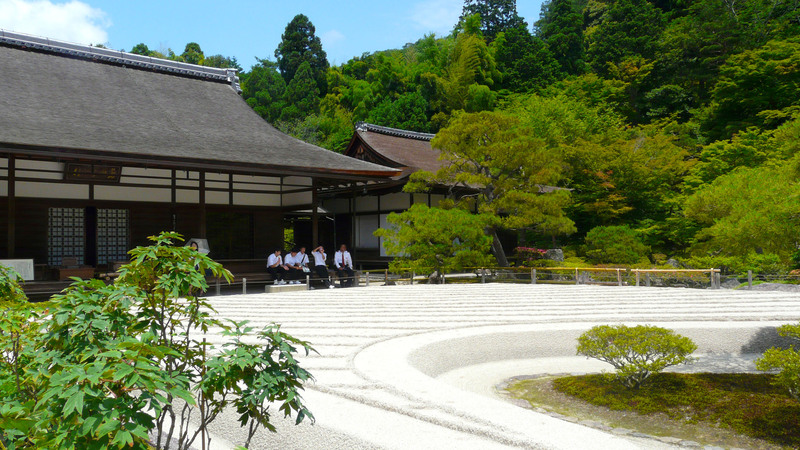 It was built initially as a villa for a shogun, Ashikaga Yomimasa, for his home of retirement to enjoy Noh Play, tea ceremony, moon gazing and things of an aesthetic value. 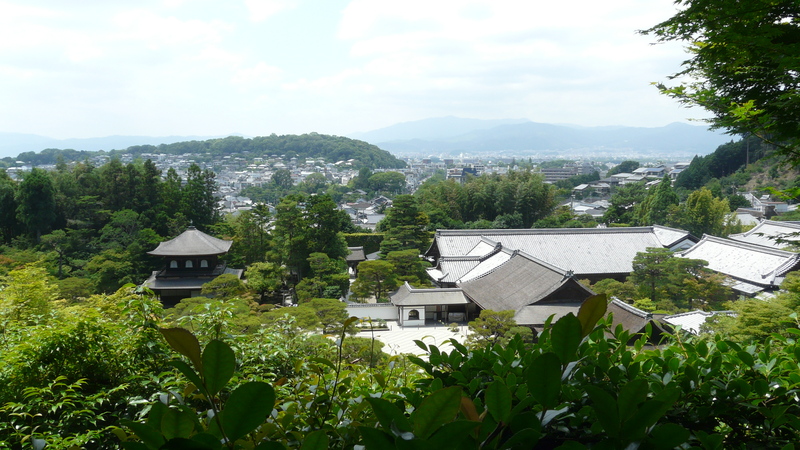 He had built many building around the area, and Ginkakuji was built in 1489. He intended to coat it with silver leave but not able to do so before he died. This unfinished work also illustrate one aspect of the wabi-sabi. Before you reached the temple, you need to walk an uphill road from the bus stop towards the temple. 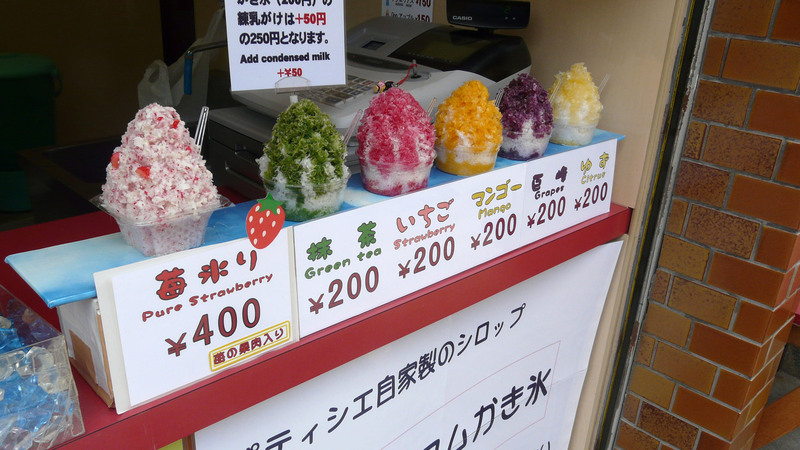 Along the road, there are many shops selling food, drinks and souvenir. I bought a mango-favored ice cream from this shop. Although late June is a hot summer period, but the breeze and the ice cream is a savor. 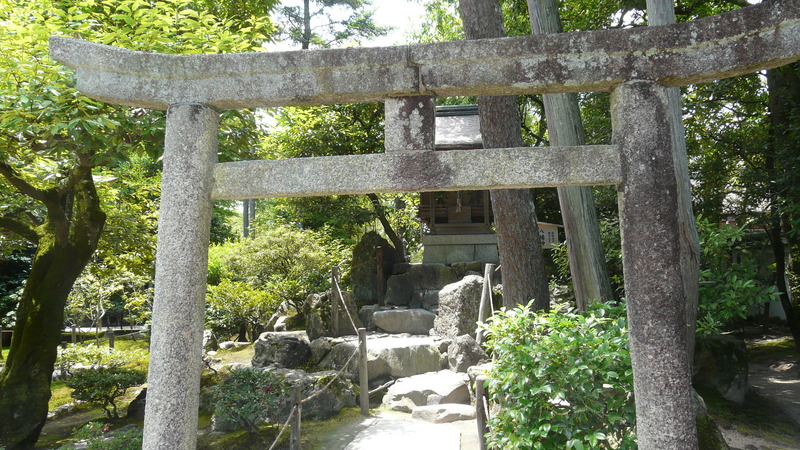 Upon reaching the entrance, need to pay for the entrance fee and you will be given the ticket that look like a talisman, that wishing your family safe, good fortune and prosperity. 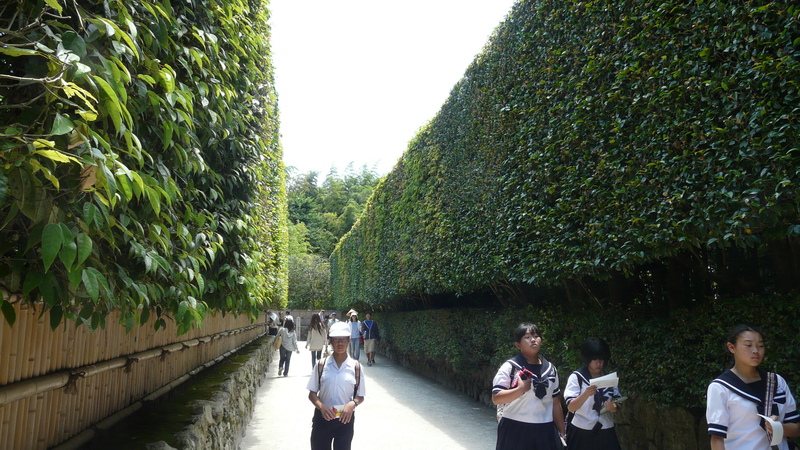 Upon entering, you will be welcomed by the beautiful hedge and bamboos along the parthway. After pass through, you will see the famous Silver Pavilion not far away. There is something very interesting about this building. The first floor, known as Shinkuden, is built as a traditional Japanese residential style. 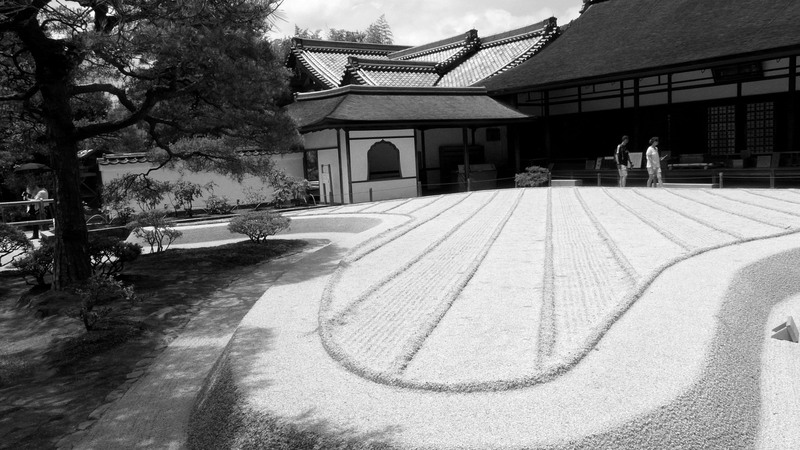 This floor housed an image of Jizō Bosatsu (地藏王）. The second floor, known as Cho’on-kaku (Sound-of-the-waves hall), is built in a Chinese Temple architectural style. This floor housed an image of Kannon Bosatsu. The windows of the second floor is designed in bell-shaped that is typical in Zen Buddhism building, called Kato-Mado (花頭窓), literally means Flower-head window. There is a bronze status of phoenix at the roof top that is facing to the east. The building is not opened to public. While keep walking along the route, it will lead you to the main hall, or Hondo, housing a statue of Shaka Nyorai. In front of the Hondo is the dry sand garden, known as Silver beach or Ginshadan. This is the place for the shogun to moon viewing. He will sit at the platform and wait for the moon to rise, when the ray of lights shinning on the Ginshadan, the moonlight will be reflected to the hall. Let’s put a little imagination, Japanese garden, ponds, Shogun, full moon and the sliver-white sand garden — isn’t that beautiful and Zen? 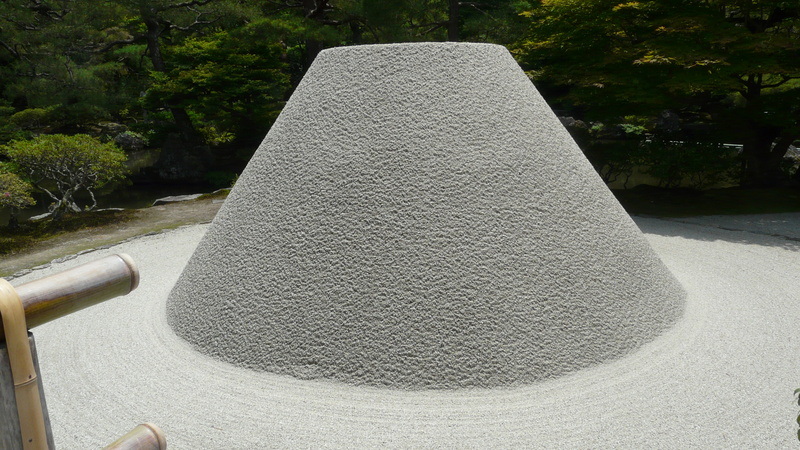 This is the Kogetsudai sand mound （向月台）is said to be imitate Mount Fuji. 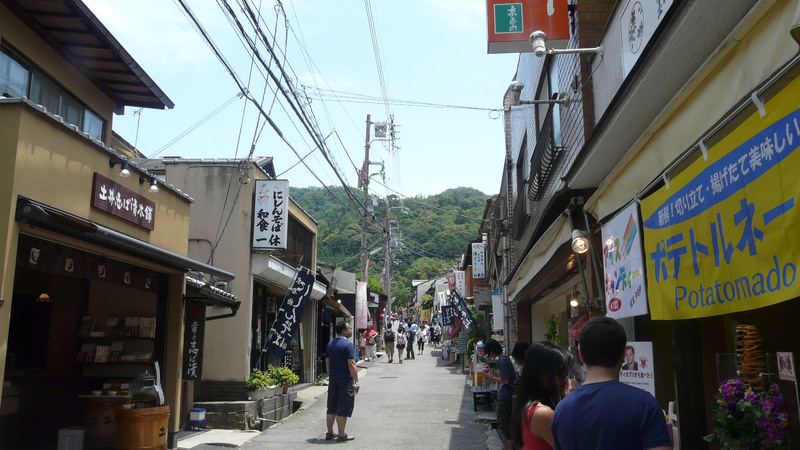 Opposite the direction of the temple, you can walk along a small route that will lead you to a hill. The weather is nice and windy. 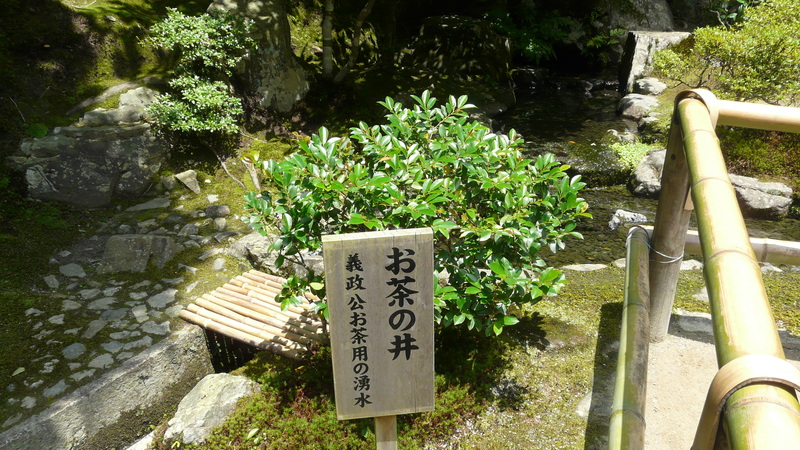 The spring water which Yoshimasa used to make tea. 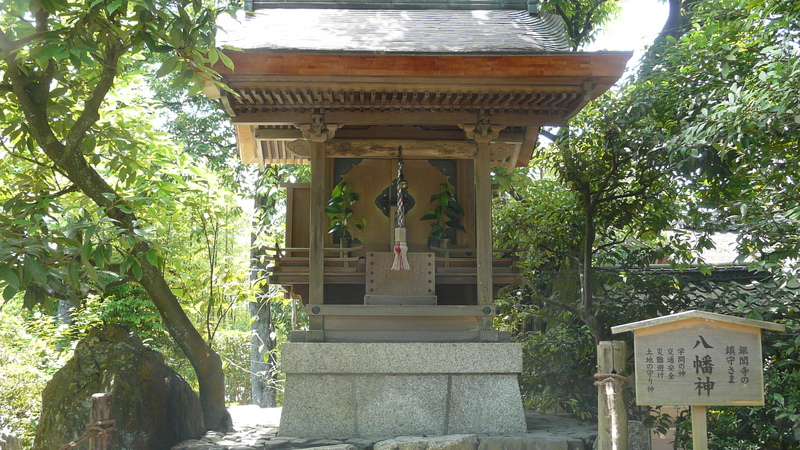 Walking down the hill along the route, there is a Hachiman-sha shrine. The Hachiman-shin (八幡神) is the ancestral deity for Japanese Emperor. It is also the guardian of Buddhist Temple in Japan. After that, I exited the temple and headed to my next destination. 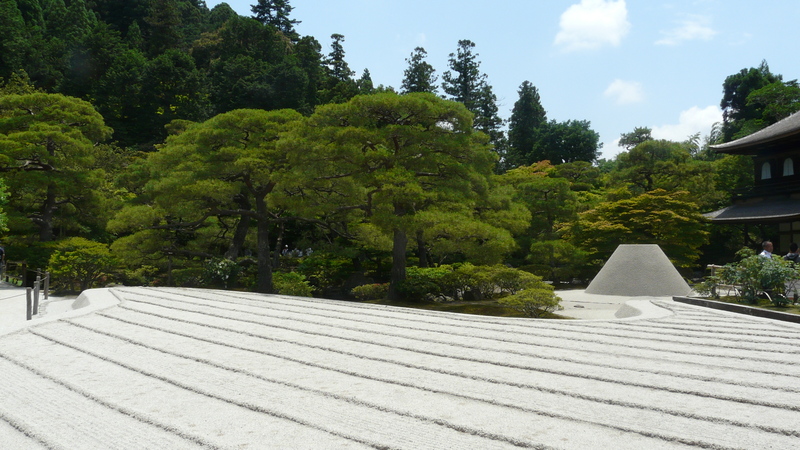 Overall, I love Ginkakuji Temple. 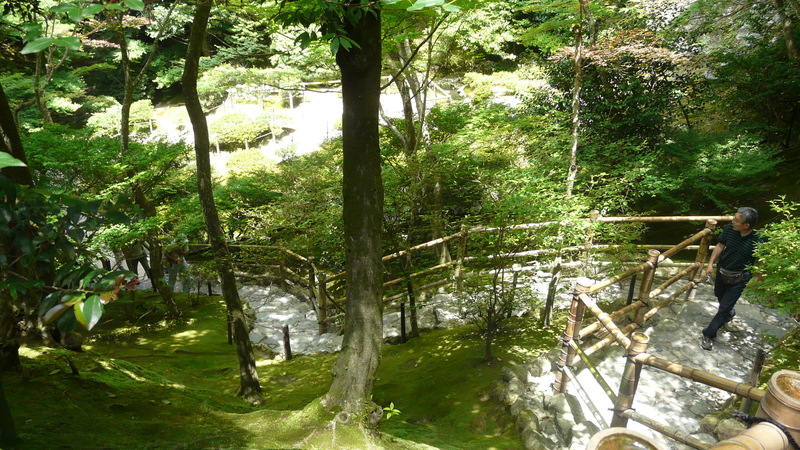 The place is full of serenity and tranquility with a deep background of history. The building is a hybrid of Japanese culture, ancient Chinese culture and aesthetic value of Zen Buddhism. The incompleteness of the silver coating leave a empty space in our mind and it is up to our imagination of how it looks like with the silver appearance. And not to mention the moonlight shiny dry sand garden under a starry night.